It is very easy and basic concept of business world. When I started with1st semester of my business education without having any prior knowledge or background of business studies, it took me time to digest this and its graphs. But now it seems just like a piece of cake thing and very basic. It simply says the point of sales when there is no profit no loss situation. It’s a simple relationship between costs, sales and profit. When sales are covering the costs incurred. Neither you are earning any profit nor bearing any loss but the revenue is covering all the costs. For more understanding lets figure this formula out using some hypothetical numbers, suppose we are producing pens. Per unit cost is $ 7 and variable cost per unit is $4. Now by subtracting P-VC ($7-$4) we get $3 in this case. Say annual TFC is $300 then breakeven point can be computed as $300/$7-$4= 100 units. $100X$7=$700 that is revenue. And $400+$300=$700 that is total cost. So 100 units of pen will be enough to cover all costs. So this way you can easily calculate how much volume you should produce, to what amount it should be increased or decreased. GMAT is now named as GMAT CAT, CAT stands for Computer Adaptive Test. This change of name occurs simply because GMAT is now conducted with the help of computers :). National Passport is essential for GMAT. Most students in Pakistan (including me) rely on different academies for GMAT preparation but I learned that attending academies is just a waste of time and money as well. 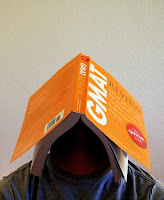 So if you are looking forward to give GMAT or any other local GMAT format test then my advice is that, buy a GMAT book and start practicing it right now! Have you ever found yourself in a position when you thought that you did a great job in exam but on result day your marks wasn’t matched with your expectations. Well that happened basically when you don’t attempt you paper effectively. So I decided to put together some guidelines to be followed when attempting a paper. Study Well: Yes to attempt a paper you should study the books first, point to be noted is that I am not saying to attempt a paper effectively I am saying to attempt you need to study your books well. While studying always give more time to major concepts but never left minor topics totally, at least read them once. This practice will help you if got something called “out of course” or “upset paper”. Start with Your Strong Point: Always start with a question about which you are damn sure that you can give 100% what is demanded by paper setter. Because its all about making positive perception of you in the mind of paper checker. So if you hit him hard with your strong concept then he’ll of perception that he checking a paper of some genius. So never show your weak point at start. Complete All Answers: Make sure that you complete all your answers whether you know them or not. Well if you are thinking that how is it possible to complete something which you don’t know, well in that case pretend as you know and conclude your answer. Basically the point is that you don’t need to left an answer thinking that “I’ll come back to it afterwards” believe me most of the times that afterwards never comes. Attempt All Questions Required: Never left a single question because it’s just like surrendering your right for some certain marks. So make sure that you attempt all questions required for 100% marks, remember I told you to read all topics at least once that will help you here. 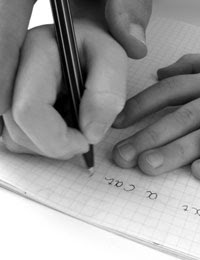 Keep Your Paper Clean: As all of you know better that it’s better to have your answer sheet neat and clean and avoid any unnecessary cuttings or overwriting. Paper checker love those papers that are neat and make it easy for checker to check paper. So these were the things which I thought are important to attempt paper effectively. Step 1, Find Out The Type of Interview: Here is the very first step to prepare yourself for an interview. Find for what type of interview you are going, remember there are three types of interviews (1) Screening Interview (2) Decision Interview (3) Data Gathering Interview. Your level of preparation depends alot on the fact that what type of interview you are going to. Because the screening and data gathering interviews are just not enough important to do "ALOT" for them, main thing is decision interview where you make into the job. Step 2, Prepare To Be Asked: This is the key point, when you are going for an interview you should know about the organization you are going in, you should have fair amount of information about the JOB you are applying for. Search and look what type of questions an interviewer could ask and rehearsal there answers. If you could manage to know a little bit about the interviewer before the interview that would be a big plus. Step 3, Prepare To Ask: Always remember that interviewers like the candidates who come with preparation and can convey their thoughts well. So never get hesitated or feel shy of asking something from interviewer but make sure you don't ask something silly. Ask what you really wanna ask and that make the sense in that environment. Step 4, Dress Yourself : Hey get a suit and start wearing it so make your body feel comfortable in it, I know students don't like formal dresses in their student life but believe me when you are at interview a smart suit makes the difference. Navy blue is recommended color for your suit but you can also pick black or dark brown. Spend some money on your dressing and it will give you a big "competitive edge". Step 5, Get Rid of Anxiety: Research proved that many of candidates score low on interviews because of their anxiety. Get Rid of it Man, researchers found that anxiety can be significantly reduced if you have a realistic understanding of the context of the interview and go into interview with an open mind. So if you are fairly prepared for interviewer's question then you would feel confident. Step 6, Get A Commitment: This is not the part of preparation but it is important that when you are finish with the interview get something called commitment. Like "When I'll be informed?" or "When are you planning to finalize you hiring decision?". This practice will help you in managing you time schedule for other interviews. I tried my little best to give you some quick tips about interviewing, let me know if you need something more on this thing. When companies are having more then one business unit, they need to know the performance of their each business unit. To manage and maintain each business unit, managers make portfolio of businesses using corporate portfolio matrix. The first and most commonly used and known portfolio matrix is BCG matrix- developed by Boston consulting. In this idea businesses could be evaluated using 2x2 matrix where we can identify that which business is offering high opportunities and which one is going in loss. This way you can best analyze your businesses and make decision in which business to invest, where to cut the costs, which needs more attention etc. In the diagram above, the horizontal axis represents market share, which has two values either low or high; and the vertical axis indicates anticipated market growth, which also has two values either high or low. Cash Cows: This category business is having high market share but there growth rate is quite low. So due to high market share these are highly profit generating for you organization but there future prospects are no certain and are limited. Managers should milk cash cows as much as they can and stop making new investments in these businesses. Stars: these businesses have both high growth and high market share. So along with generating high amounts of profits for your organization, these also hold a dominant share of market. There growth rate is very fast and have future certainty. Managers should invest heavily in stars to get more benefit out of these businesses. This way growth will keep on increasing and high market share will be maintained giving huge amounts of cash to organization. Eventually stars will turn into cash cows, when they will reach the stage of maturity and growth will slow down. Question marks: these businesses have high growth but there market share is not strong. These are attractive opportunities but due to small market share they are not profit generating. Managers should make new investments in question marks as they have growth potential. So they should invest to get the market share and enjoy high profits by holding strong market share as well. And when they will achieve the market share along with high growth, these will turn into stars and ultimately cash cows. Some of these may be sold out if managers are not willing or having heavy investments. Dogs:Business in this category are both with low growth and low market share. These neither produce nor consume much of organizational resources. Since these businesses are giving nothing to organization, so these should be either sold off or liquidated. To market their product to customers, organizations use different approaches, depending on the nature of product or services, resources of the organization, expertise or others. Initially there were four approaches which were being practiced but later one more approach came into practice. It is the simplest approach to selling. It uses structured questions and statements, which act as stimuli for the customer and sales person get the desired response in their favor. Words and statements of sales person furnish a stimulus if they are well planned and hit the nail on the head. Planning or preparation of conversation is being done at the sales person end. He prepares structured questions whose answer is most likely to be in “YES” leading towards the end of the sale in “YES”. This approach involves less contribution of the buyer, its one sided conversation in favor of sales person, who has the aim to sell at any cost. So it’s suitable in the situations when buyer is unprofessional and has less knowledge. Example includes telemarketing, in which one script is being memorized and then repeated on every call till the sale call is closed. It is formula approach to selling. It is similar to stimulus response selling as it also uses structured question to lead the buyer to different mental states. These mental states are AIDA (Attention, Interest, Desire, Action). Sales person should be intelligent enough to keep track of buyer’s mental state while asking him questions. It is bit technical and requires sound mental ability of the sales person. First he tells customer about his product/service to gain Attention, then tries to develop customers’ interest, after that a stage, conviction comes, when salesperson describes the functions and benefits of products/services. After that in the stage of desire he should overcome the hesitation of customer and make him positive about his product/service and at the end sought the sales call. In this approach, first of all the problem is identified. What does customer need to solve his problem? Sales person first listen to customer and let him take the initial part of conversation to uncover the needs of buyer. When need is identified then sales person tells about his product/services and how can they benefit customers and tell the entire features. Then sale is closed either with positive response from the customer or negative. In this approach problem is already identified, sales person need to define it to the customer and then tell him all the alternatives available even of competitors to solve the problem. He also explains his own company’s product/service, after that he evaluate the alternatives carefully; doing comparisons of all and then sought the sales call. In this approach both buyer and seller works with collaboration. In this approach seller tries to help the buyer out in accomplishing his organizational objectives and strategies. It involves two way interactions. Seller sincerely tries to seek out the problem of buyer and use all his resources and expertise to provide him services. It may take several days for sales to be done. Before buying a running business you must consider number of things to make decision whether to acquire it or not. He/she should do critical analysis of everything from financial position of the business to its infrastructure. Obviously he will acquire that business if he will find it either profitable or with great opportunities. Following are the characteristics that should be kept in mind before acquiring a running business. 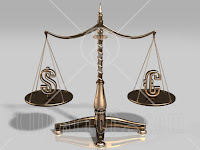 The repute of business in the market and industry, its standings and goodwill it holds in customers’ or people’s mind. It is very important character to consider and useful in making decision. Because having goodwill is major component of success of business. So running business having goodwill is very good opportunity for you. It is also one of the very important features to be considered. Infrastructure plays an important role in accomplishment of all tasks of business. Wisely build infrastructure help business activities to be performed. Getting already build setup is quite a benefit, but only if it is creatively and successfully builds and goes with the activities of business while smoothing those. It saves time of the prospective buyer. It’s like backbone of the business so it should be analyzed and viewed carefully and critically. This is the most important concern of any buyer that what revenue does business generates and the amount of net profit. So all the financial books and statements should be carefully examined. If revenues are high and in future prospected to grow more; then its good opportunity for the person to acquire such profitable business where sales turnover is very good. The price you are paying to acquire business must be the one that that business worth. You can make quite a thought after viewing various features and its type that what the suitable price that this business is worth. Customers are the most important part of the business. You must get the knowledge that how much customers business own and what increase or decrease would be there in future. You obviously can not tell clearly about futures but you can just make a guess by observing the behavior of current customers. Employees are most important assets of any company; so the competency level, loyalty and hard work of the employee should be analyzed. There attitudes and beliefs about the business they are working for should be determined carefully. They may be individuals, companies or financial institutions. But relation with these is very important. If it is good then it would be helpful for the prospective buyer in future. If he needs to expand, add or innovate his business in anyway; he can get loans and financial assistance easily. Suppliers of the business are in relation with it. With the acquisition of business, suppliers are also inherited and you can continue your business with suppliers on the same terms as earlier. Credit ratings should be checked, and it should be watched out carefully that there are not complex liabilities on business, which are complex in nature and you are unable to write them off. Liabilities of the running business are also inherited like all other things, so they should be carefully taken into consideration. Location of the business is also very critical to running any business. Location must be good that is suiting the business. Where there are more chances of the business to remain successful and grow. Technology plays an important role which includes all the techniques, equipments and methods used for running all the business activities and it should not be obsolete. Because in every night changing and challenging business environment you must go with what’s in and productive. The industry should be analyzed and considered that what opportunities it does have in future and its not dying but flourishing every day. "A purposeful, systematic process for collecting information on the important work-related and worker-related aspects of a job"
In work-related aspects we study the core tasks and duties which comprises that specific job. Those can be maintaining the record files, assisting the higher staff for a clerical job. And in worker-related aspects of a job we analyzed the basic human behavours that are required to perform such job. Work activities - what a worker does; how, why and when these activites are actually conducted. Tools and Equipment - identify the main tools and equipment that a job holder will be using during his job. KSAs required - personal knowledge, skill and abilities required in a person to perform such a job. The process of recruitment and selection of a company mainly depends on the quality of job analysis because if the job analysis is not done well then the whole system could be collapsed. Job analysis information could be gathered from many sources like actual persons who are performing the job and their supervisors. Some subject matter experts (SME) can also be interviewed to know about the job under consideration. Job Analysis is a very simple and easy concept but if you still have some confusion or you want to further contribute on this topic feel free to write. Copyright © 2009 Education Inn Of Pakistan Powered by Blogger.